The transparent diagnostics company raised over $91 million in funding. Can it overcome the skepticism Theranos left in its wake? Last month, I had my blood work requested, tested, and analyzed–in less time than it takes to get a manicure. My medical results, which took about 15 minutes, were courtesy of diagnostics startup Genalyte, which spent the last decade perfecting a portable lab that can run 62 tests with just several drops of blood. 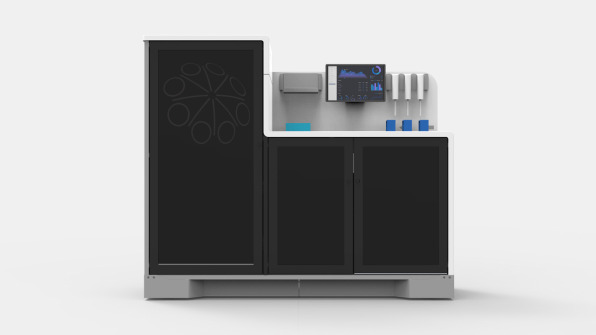 Dubbed the Maverick Detection System, the mini-fridge-sized device uses microchip technology to analyze multiple antibodies and other proteins. It digitizes the samples and sends them to a cloud-based laboratory for review, sending results to the physician in real time. I tested out the process at the company’s headquarters in San Diego. The “lab” was composed of a chair, the 15-inch wide Maverick perched on a rollaway cart (dubbed the Merlin), and a kind nurse who promised she would not tell me when she inserted the needle in my arm. Less than one vial of blood was extracted. A short time later, Dr. Rick Hockett, the pathologist who serves as Genalyte’s chief medical officer, sat me down for a brief overview of the results. I was relieved to discover that I did not have any wheat sensitivities–and therefore free to continue on my glutenous path of destruction. It was quick, easy, and, for once, an efficient medical experience. The results matched recent testing from a traditional lab.No doctor assigned additional tests as I walked out the door, followed by an ongoing round of phone tag to deliver results. That’s if your doctor even bothers to call you back. “No news is good news,” they like to say, but how are you supposed to assume things are fine and that your doctor didn’t just drop the ball? 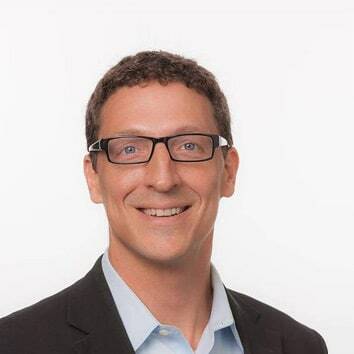 Genalyte CEO Cary Gunn, an electrical engineer with a Ph.D. from Caltech who founded the company in 2007, recalls interacting with stressed medical offices attempting to juggle incoming and outgoing blood tests, with patients anxiously awaiting results. When the tests do arrive, doctors wrack their heads trying to recall the patient. “Doctors spend two hours a day having to open up medical records and remind themselves who these patients were,” explains Gunn. Sometimes results get lost or mixed up. It’s believed that almost one-third of misdiagnosed malpractice cases are the result of this disjointed process. Then there’s the quarter of patients who fail to follow doctor’s orders and ever get tested because it just seems like, well, such a hassle. Genalyte sounds alarmingly easy, eerily echoing the last time we read about a too-good-to-be-true blood-testing service: Theranos. When it was discovered starting in the fall of 2015 that Theranos, the secretive blood diagnostics company, had falsified its technology and results, it ushered in an era of industry skepticism for blood-testing innovations. Theranos founder Elizabeth Holmes claimed her blood-testing devices could perform a full suite of lab tests with just a small blood sample, which helped her raise in excess of $700 million in funding. In reality, it could only perform a small fraction of those tests, a secret it kept from investors, health partners, and even its own employees. Earlier this year, the company, which was first established in 2003, was charged with fraud by the SEC. Genalyte wildly differs from its former competitor, both scientifically and ethically. For example, it eschews the finger-prick method (which Theranos relied on) for vein withdrawal, as the former often contains damaged fluid from the puncture wound. It also withdraws 10ul (microliters) of blood instead of just one drop, a concept Elizabeth Holmes pursued so doggedly that it ultimately led to her ruin. Relying on a single drop of blood raises a number of problems since there’s often a wide range of results between individual drops from the same person. The young startup also decided to focus on one area–or particularly, one type of doctor: rheumatologists. Rheumatologists are internists who specialize in diagnosing and treating chronic diseases or autoimmune conditions. They often see patients four to six times a year, with many developing decades-long relationships. That dynamic appealed to the Genalyte founder, who crafted the Maverick to offer 62 tests, “the lion’s share of what a rheumatologist needs,” says Gunn. Should doctors need more specialized or genetic tests, they can easily request them through Genalyte’s centralized lab, which delivers results overnight (i.e, not through the cloud). Finally, Genalyte permits the medical community–and investors–to inspect its technology. It offers numerous white papers and has published clinical studies in peer-reviewed journals. Theranos, by contrast, treated its inner mechanisms as trade secrets. Khosla Ventures had considered investing in Theranos, Sabnis tells Fast Company, but quickly moved on. Sabnis believes Genalyte can transform the healthcare process, for both patients and insurance providers. “We’re going to be able to collect a lot of data, which is going to be more and more valuable,” says Sabnis. Genalyte recently launched a pilot program with six clinics in San Diego. The goal is to prove that 100% of patients prefer its integrated testing system, and that it can cut down on physician error. Such data will prove valuable prior to reaching out to larger healthcare systems. There is no upfront cost to doctors (Genalyte owns the machines); they only pay the cloud lab testing fees. As for data privacy, all medical information and records are maintained and stored in computer systems validated to HIPAA levels of compliance. Dr. Dana Reddy of SD Rheumatology in Chula Vista, California, is one such doctor participating in the pilot program. The rheumatologist vouches for the Maverick’s effect on patient compliance and day-to-day office workflow. There are, however, minor pain points. The Maverick machine, which sits on a three-foot wide cart and includes a technician workspace, storage, networking equipment, and basic testing equipment, takes up a lot of space. Clinics must also accommodate an extra 20 to 30 minutes during patient visits. Gunn says the end goal is to “test every patient for everything every time they touch the health-care system.” Such enthusiasm does attract its share of critics, especially those wary of medical over-testing. Too much information, some counter, can make doctors jump to unnecessary decisions. As with full ultrasound or MRI scans, you will most certainly find something abnormal, which leads to excessive medical intervention. “Sometimes the cost of that outweighs the benefits of just never having the scan in the first place,” explains Gunn. Currently, the Genalyte platform shares results without any further insight or actionable information. Human oversight is still necessary in such cases where results are computer driven. With further collected data, Genalyte will go beyond its current limited scope.